The nights are dark, the days short and the temperature cold. Our wardrobes, for the most part, are woefully underprepared for the current cold snap – light jackets won’t do here gents. But, thankfully, this bitterly chilly spell has aligned with the January sales – and where better to huddle for warmth than the sartorial safety of Ted Baker, one of Britain’s foremost fashion houses and creators of every stitch you need to upgrade your wardrobe for winter. There’s nothing worse than walking out on a morning, and feeling the warm glow of home fade away just as you’re hitting your stride. It’s too late to turn back and grab another layer, so you’ll have to grit those chattering teeth and put up with the cold all day. 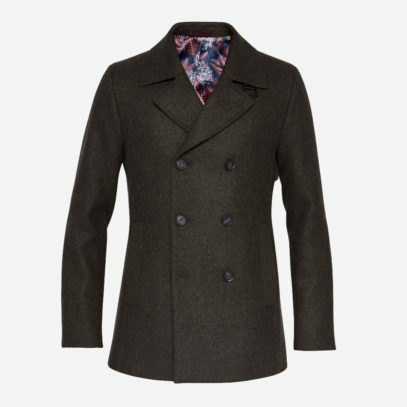 No more – with some of the coats on offer at Ted Baker, your shivers will be a thing of the past. But choose wisely. 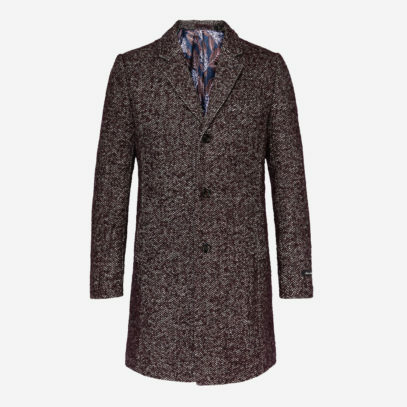 Our picks are the Herringbone boucle wool-blend coat, a shower-resistant number smartly-tailored and finished in a traditional red herringbone to ensure you stand out from the crowd. Or, if you’re feeling a little more conservative, why not opt for this shower resistant wool peacoat? Dark green and one of the most versatile items of outerwear you can by, its kept both stylish and warm by that double-breasted design. One of the worst/best things about winter is the layering. 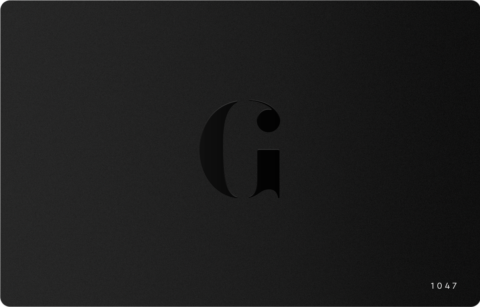 It appeals because of the style opportunities – layering can look rakish and thought-through if executed correctly. But get on the Central Line at rush hour and that third cardigan will seem like a bad idea. 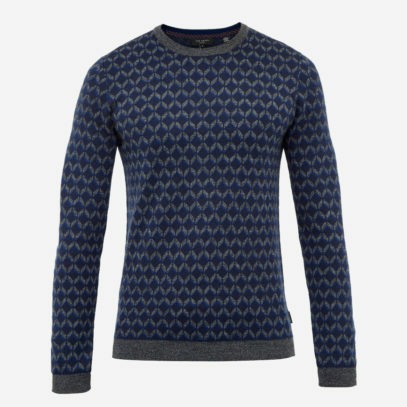 Buy a quality piece of knitwear, however, and it will let you breathe when you need to, and keep the warmth in when the cold hits. 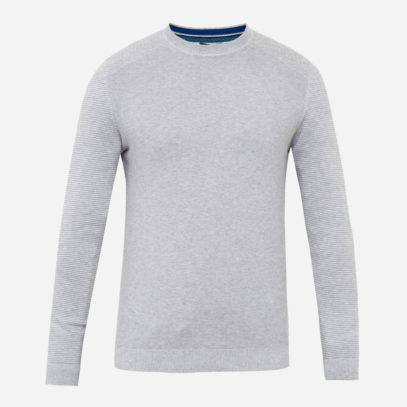 To this end, we’d recommend either the Marlin Crew Neck Jumper, a subtly-striped piece of knitwear with a laid back design that pairs well with both the formal or informal, or the more statement-making Vince Crew Neck Jumper – a bold approach to layering featuring a dapper jacquard finish and geo pattern. Scarves are, frankly, the best. 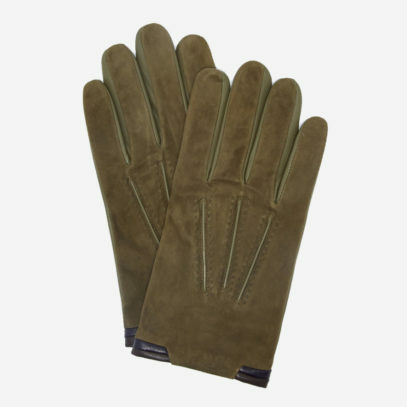 Not only do they offer any outfit a hint of the cad, but they also keep you completely and thoroughly toasty. From fine silk variants to the chunky knits we’ve all almost fallen asleep in, Ted Baker have something for every taste – and if you’re not wrapping a scarf around your neck every morning, you should be. 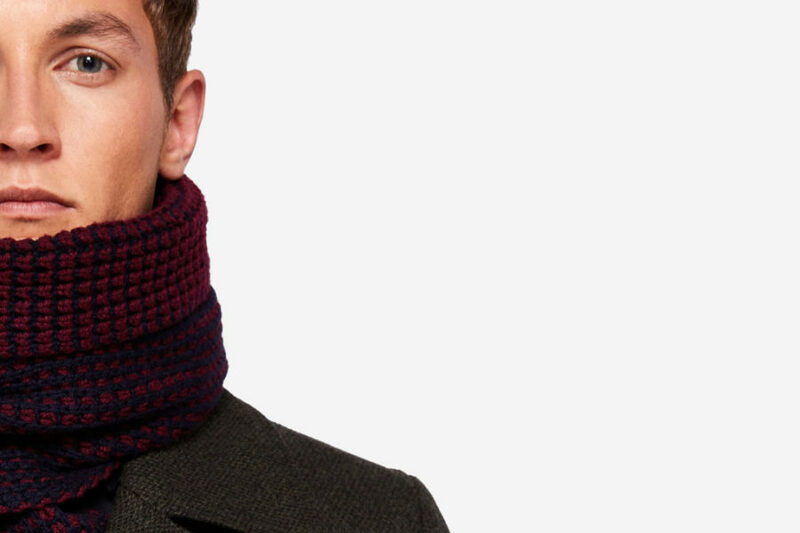 We’d go for the Jayden Ribbed Knit Scarf – purple, yes, but nothing is as cool as a man wearing a statement colour. 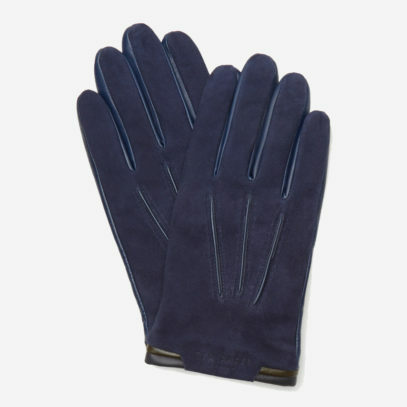 Snug yet lightweight, it is sure to make a dapper addition to any ensemble, without getting in the way. 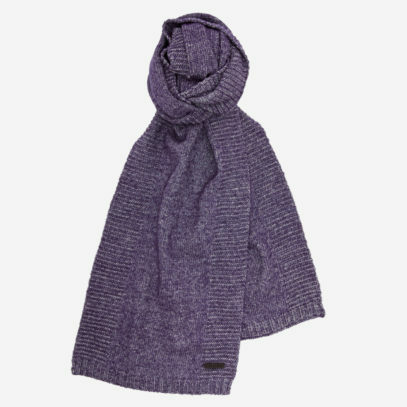 Alternatively, the Walnut Plaited Wool Scarf is a classic item – crafted from pure wool and finished with contrasting trims. 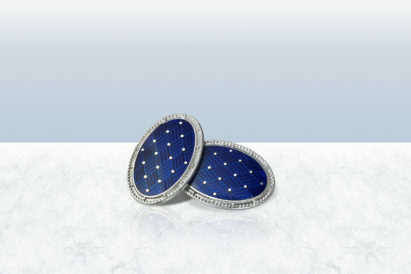 A sumptuous touch to any outfit. Gloves are almost as important as scarves. Granted, you can put your hands in your pockets if the worst comes to the worst, but you’ll look both chic and prepared if you whip out a pair of finely crafted mittens when the cold winds start to blow. 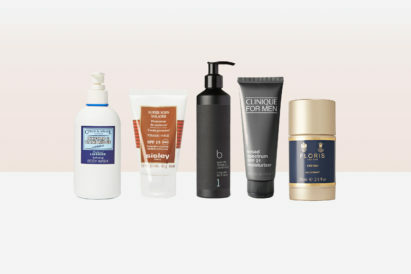 And, of course, Ted Baker have just the products to keep you looking on top form. Thought hats had had their day? Think again. 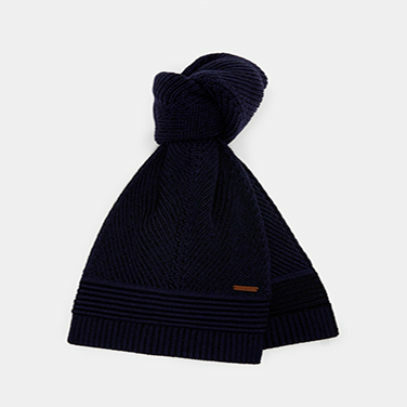 There’s nothing so warm and woolly as a finely-crafted beanie, so pick out one of Ted Baker’s many hats to help beat the chill this winter. 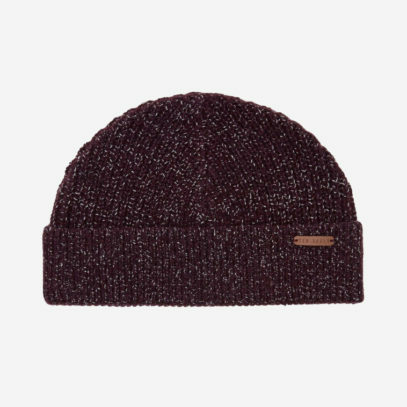 The bobble-less Teahat Ribbed Beanie may lack any outward fun, but makes up for its seriousness with a speckled wool pattern, deep purple colour and a versatility that borders on the absurd. 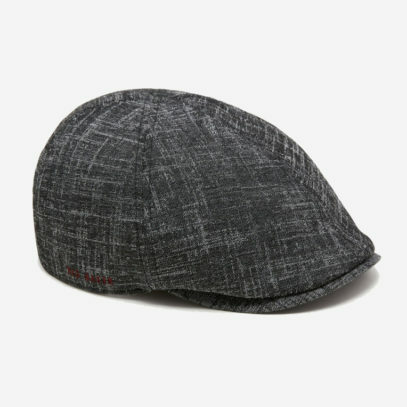 Or, channel your inner Peaky Blinder with this Olympic Flat Cap flat cap, made with finely-woven fabric for extra softness. One to keep aside for a rainy, or snowy, day. More is more when it comes to fastening up your formal wear. So, if you’re looking to get more adventurous with your sleeves this season, look no further. 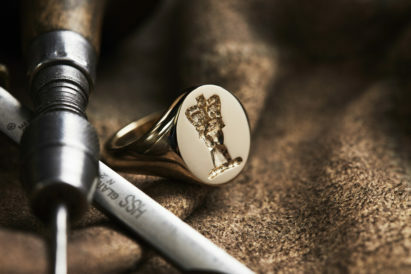 Should a modern man wear a signet ring?